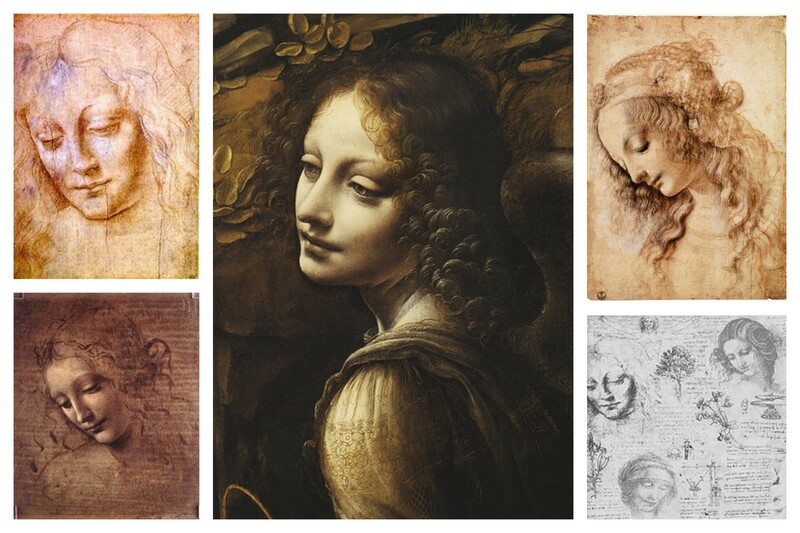 Leonardo’s da Vinci’s portraits are beautiful. 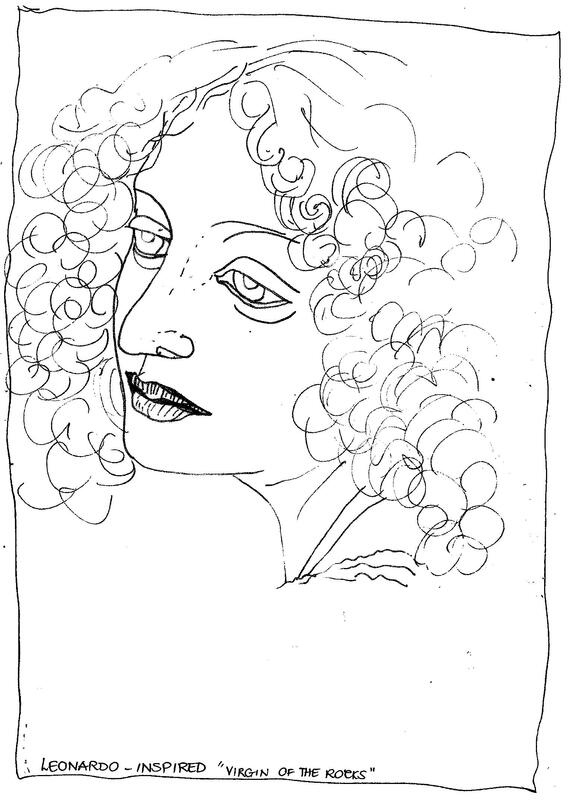 Something about his unfinished sketches draws the viewer’s eye to the glorious shading and luminescence of these faces. 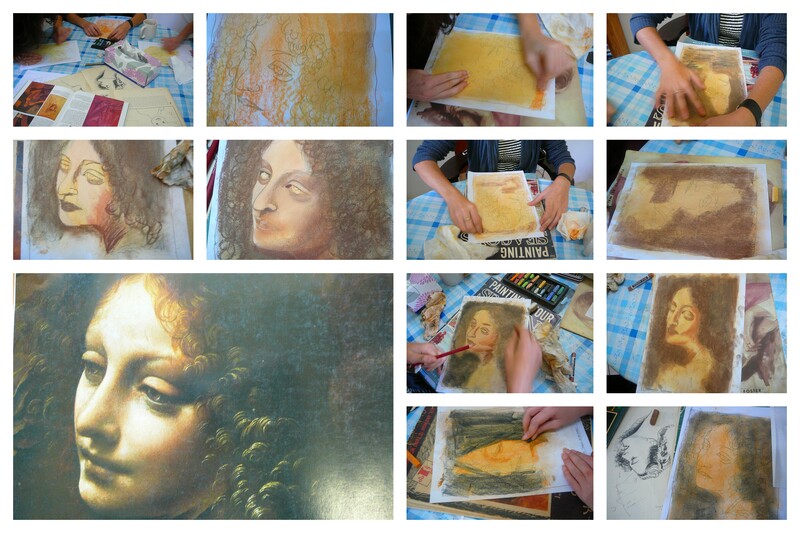 We all started our own “incomplete version” of a Leonardo portrait. Cover the entire page with orange, yellows and browns and ‘fist it in’ or blend it well. Do all the hair with dark browns and even black areas and cover the areas around her face with dark browns and blacks. Add shadows to the face – under the chin, the neck folds, the lower cheek, the creases in the eyes, the bags under the eyes, the nose and lips – and blend lightly. Then add skin color or light beige or cream for highlights and blend slightly. Now it is time for details – dark, dark brown or black on the upper eyelid and the pupil of the eyes and the nostril. Add shading to the eyelids, the nose and the lips. Emphasize what is really dark and those areas that are light. Add light yellow swirls to the hair. Maybe add some white to her collar. But pastels are wonderfully forgiving and you can just layer on top of the colors or textures you need to change. It is phenomenally difficult to capture the pristine beauty and luminescence of the original … but we all felt quite happy about our efforts. A spritz of fixative and our portraits were done. This is beautiful! It’s above the level of my children’s abilities, but we’ve worked with pastels before. 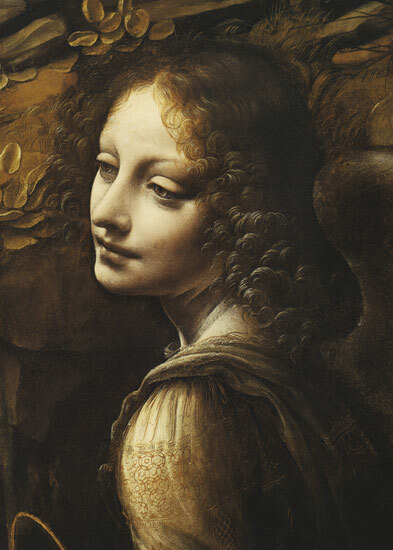 I know they will turn out nothing like yours, but my son absolutely loves the Mona Lisa, and trying to copy something from Da Vinci will be fun for him. Thank you for providing the outline drawing! What kind of paper did you use for the pastel art project above? & what kind of pastels? I had tried this with my daughter and had hard time applying layers of colors while blending in between. 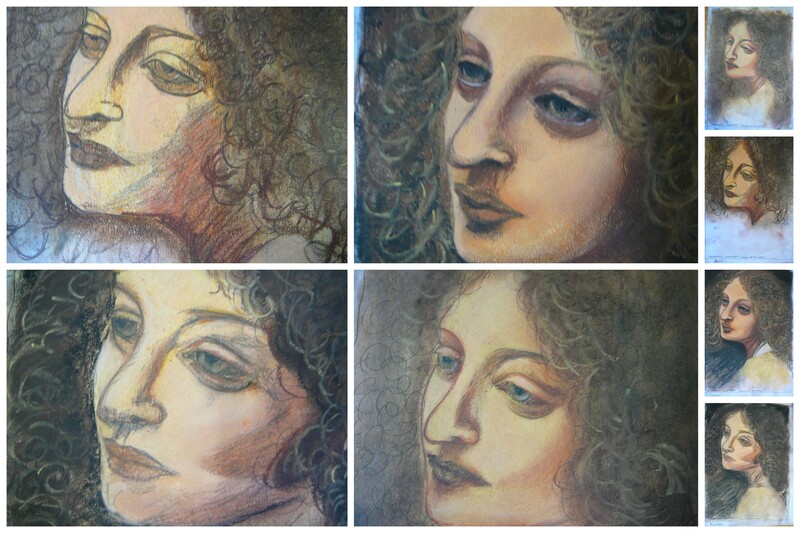 The pastels we had was a cheaper brand and not art quality so I wondered if that made a difference. @Melanie Parker, we do use ‘proper’ pastel paper for some pastel projects, but we used ‘normal’ ordinary print paper for this art lesson and it worked just as well. Pastel paper has a lovely rough texture which ‘holds’ the pastel strokes and the art work does have a richer quality. Blessings as you try these art ideas! I am starting a volunteer Healing Arts group that will minister in local hospitals. I am an artist and will be enlisting volunteers that may or may not be artists. The real artists are going to be the patients themselves. I would love to use some of your ideas to bring the each facility. This is the best site I have been on so far that seems to be on the same page as my vision! I think teaching art at a children’s level will be perfect for introducing anyone to the arts.